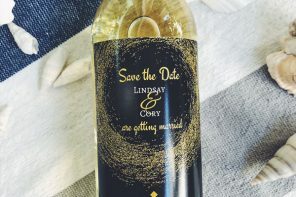 Beach weddings are kind of the unicorn of weddings aren’t they? Totally refreshing and completely relaxed. 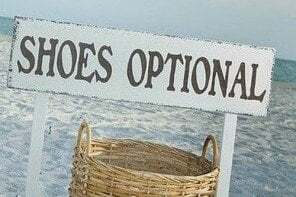 The best part of a beach wedding though? You’ve got the perfect, organic theme to work with here. 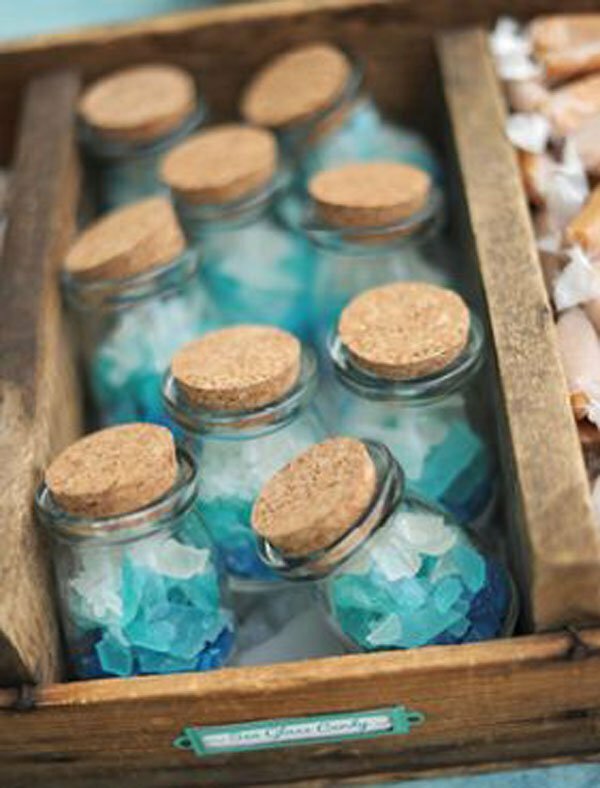 We’re focusing on beach wedding favors, and there are SO many great ideas to choose from. 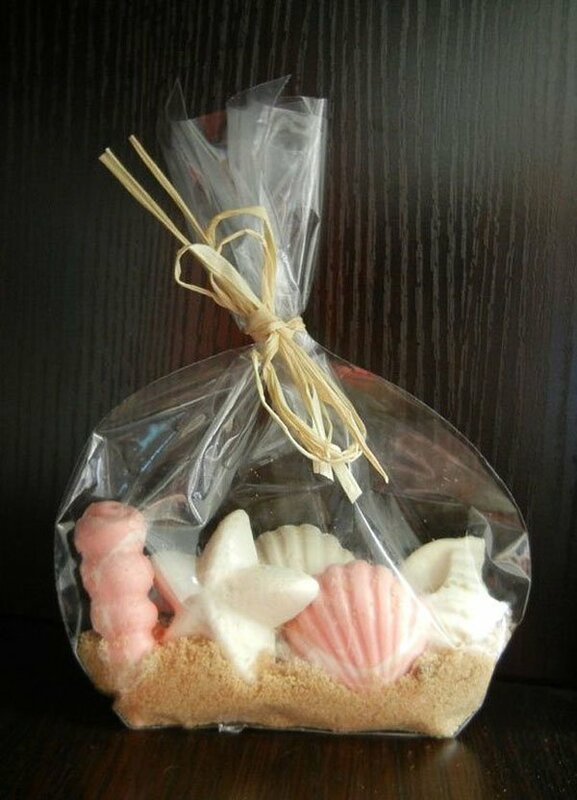 Some of our favorites include herbed sea salts and cookies in the shape of mermaids. 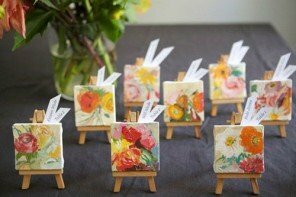 These as well as others are totally DIY friendly, though we admit some are more talent-required than others. Need some more inspiration? 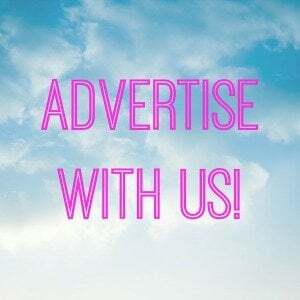 Read along! Kind of the obvious suggestion, we know. 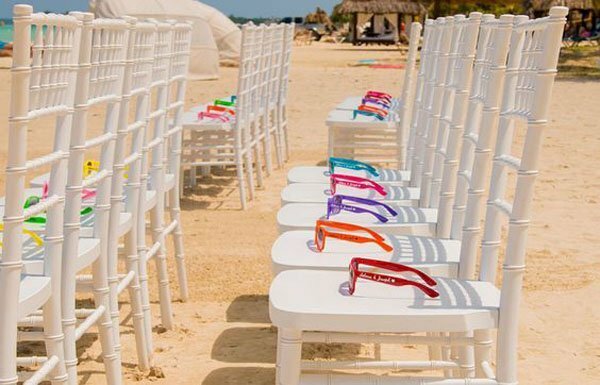 But we love the idea of bright-colored glasses placed along the ceremony chairs for your guests. 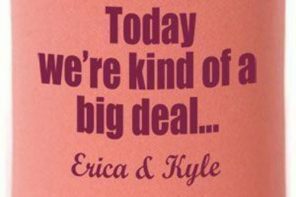 This’ll let them know it’s ok to put them on during the ceremony (to shield their eyes, and well, to look cool). And plus, who doesn’t want a pair of bright pink sunnies for beach days to come? 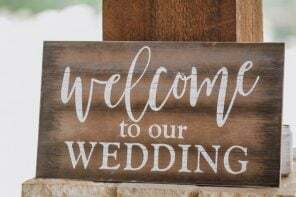 If you’re getting married on the beach…in the afternoon…in the sun, you may want to provide guests a little relief from the blazing sun. We recommend these accordion fans for just that. 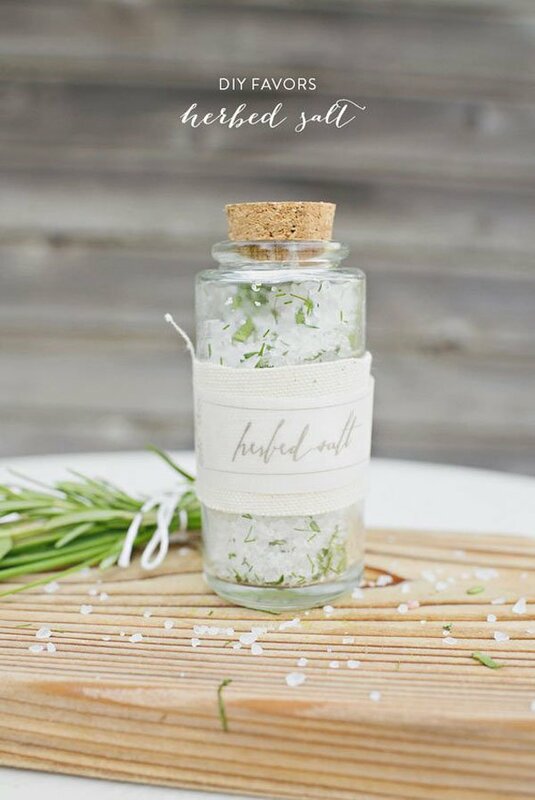 A beach wedding favor that’s truly useful. Perfection. 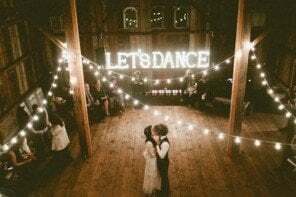 Attention DIY brides. 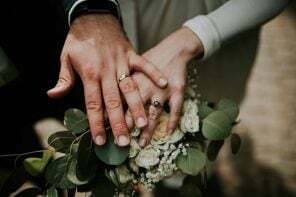 You can absolutely take care of this one on your own. 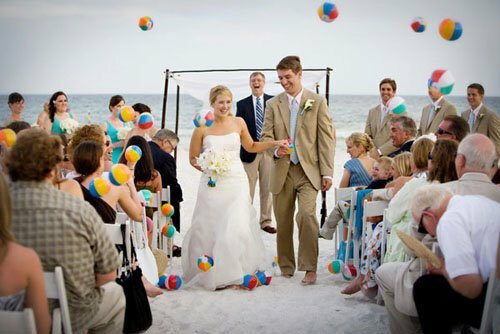 These multi-colored chocolates in adorable sea-inspired shapes are so perfect for a beach wedding. All you’ve got to do is purchase a few chocolate molds online and it’s easy-as-pie (err, chocolate). 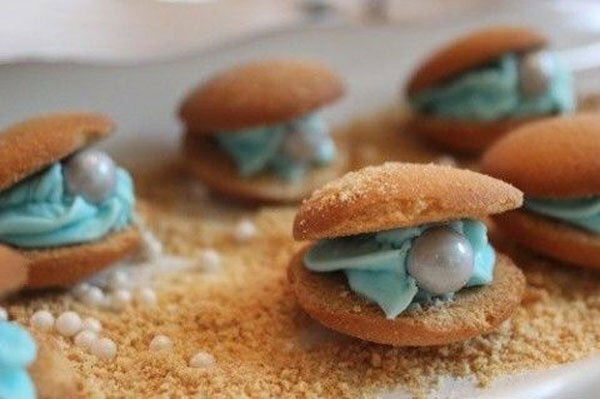 Are we the only ones totally in love with these vanilla wafers that have been decorated to look like oysters with vanilla frosting and candy pearls? 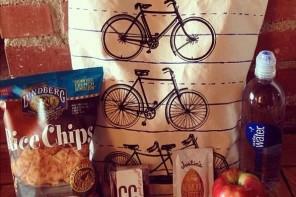 If you’re a super-talented baker, we think you could probably work your magic here. 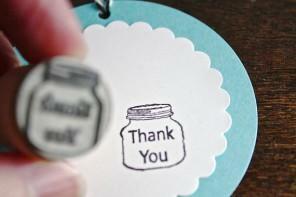 We recommend lucite boxes for packaging, to really show off how creative you are. This gift of herbed sea sat is, you guessed it, DIY friendly, but also a friend for cooking enthusiasts. It’s the perfect finishing salt for prepared food to give your meal that extra bit of love. 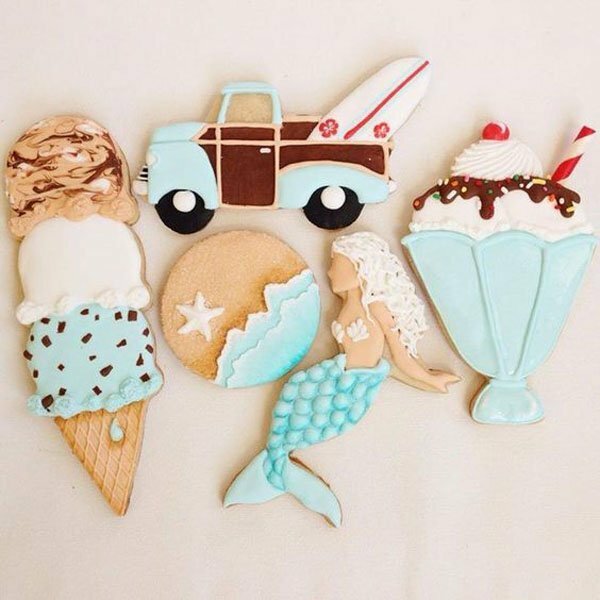 Sugar cookies in the shape of ice cream cones and mermaids? Omigosh – adorable. 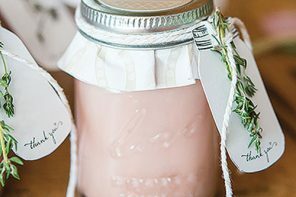 With a little help from a cellophane bag and a twist tie, this is the perfect beach wedding favor. Kind of like rock-candy, only so much more nautical. 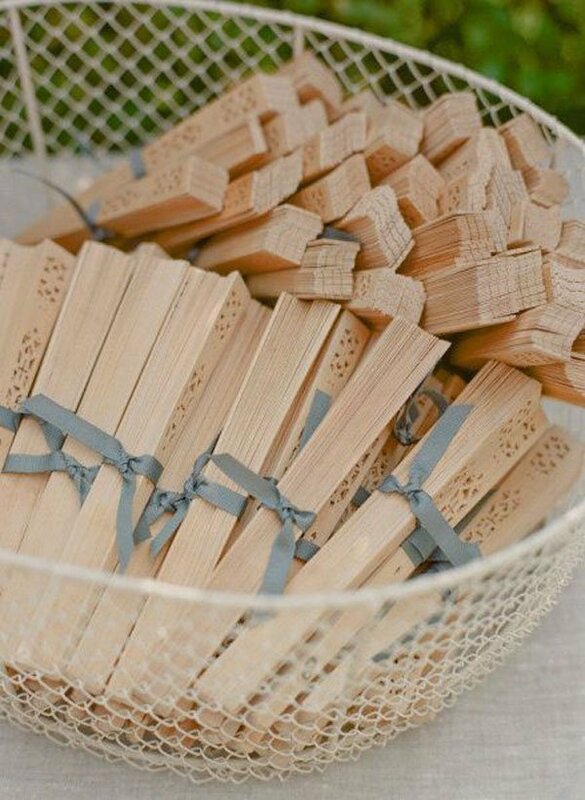 This is such a sweet-treat for guests that’s so simple, yet so unique. We’re ready to try this recipe ourselves. 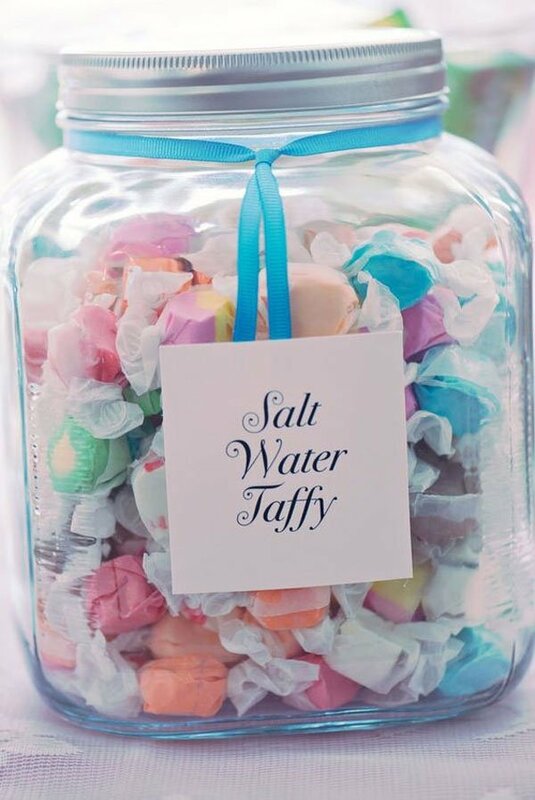 What beachside wedding would be complete without a ton of salt water taffy? This chewy deliciousness is such a wonderful idea. 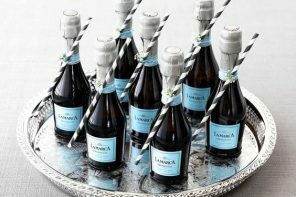 You can package individual boxes up for guests, or lay flavors out along a candy bar where guests can put together beach wedding favors for themselves. 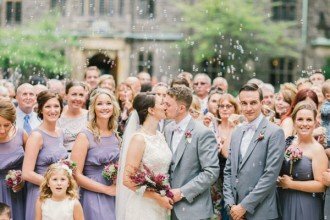 Having a small wedding seaside? 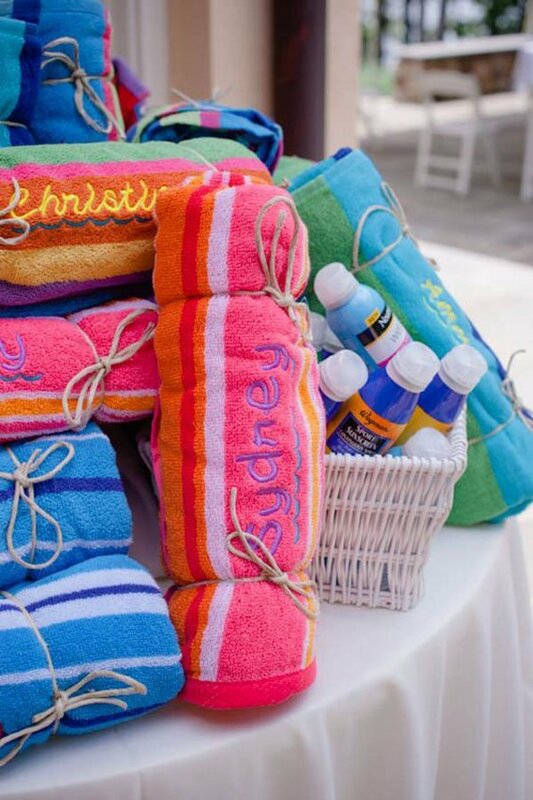 These brightly colored towels that are embroidered with guest’s names are so personal, and we adore that. 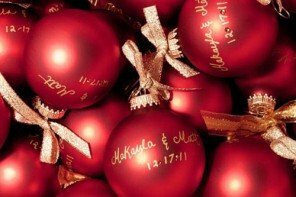 Guests will really appreciate that extra little touch instead of something that has your wedding date on it. No offense, but it’s true! 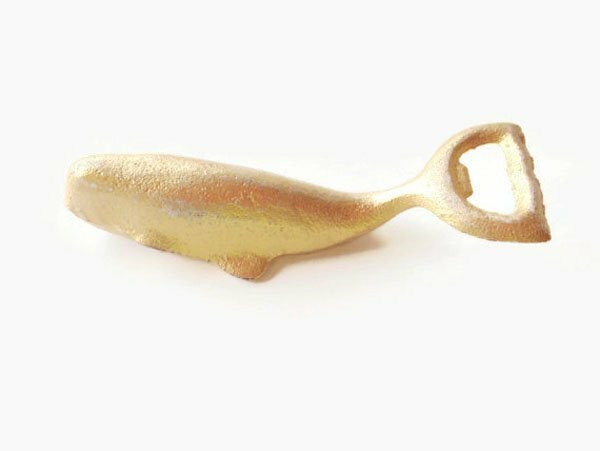 From whales to mermaids, we’re all about these whimsical bottle openers as beacg wedding favors. Plus, we love how it’s made of distressed cast-iron and hand-painted gold. 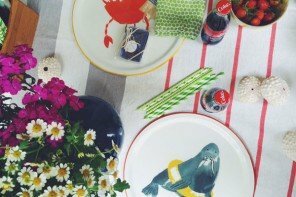 You can choose to do one shape for all, or mix it up with other nautical-inspired shapes, like ropes and anchors.